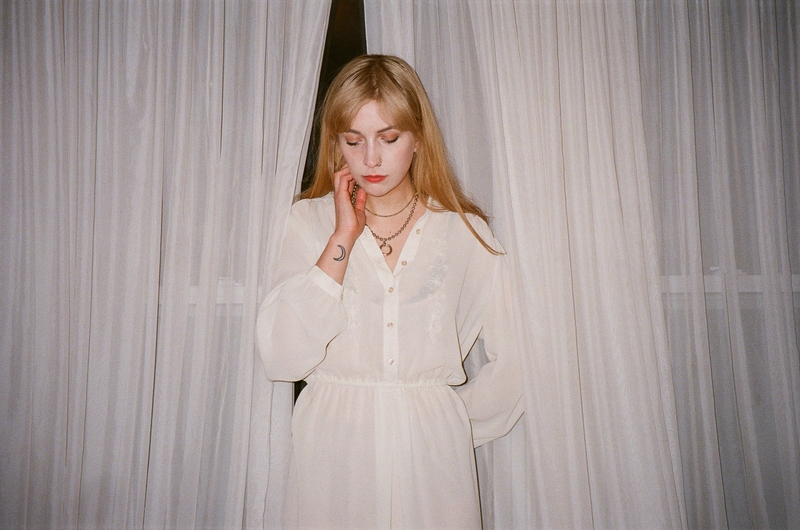 A faint voice and a fervent guitar make their match in a cluttered bedroom, each song finding itself in a growing folder of recordings stamped by initials “L.S”. Ellis is the music project of Linnea Siggelkow. Daughter to a traveling book salesman and a piano teacher, Ellis flips the words from the books she once read, intertwining vulnerable with bold into the songs that she now sings. Having already made her mark as a solo performer in the Toronto DIY scene, the project has evolved into a 4-piece band, inspiring a grittier take on the same solemn refrain. The six-track release presents an uncommonly fully-realized aesthetic to match the strength of Siggelkow’s songwriting. Built from simple instrumentation, but deftly arranged to lend a grandeur and devastating scale to Siggelkow’s skillfully rendered laments, the release is a resounding statement from a young artist who is poised for a reception that equals the scope of her remarkable gifts.